New members: Due to a double booking by the showgrounds, orientation for BDAG Block 4 has been moved to Tuesday 30 October. When: Tuesday 30th October, 7pm. Venue: Babies Change Room, Geelong Showgrounds. No dogs that night. Existing BDAG members also welcome to attend. Babies’ Change Rooms at Geelong Showgrounds. Enter via Gate 2 on Breakwater Road. After entering Gate 2, take the first or second left (either is OK) and drive down about 200m then park on the grass. The Baby Change is opposite the Lifestyle Pavilion. Posted in BDAG dog training, Membership on October 14, 2018 by Bellarine Dog Activities Group (BDAG). Equipment shift from showgrounds to Storage King on Bellarine highway. Helpers needed. 9am start. Finish 10.30am. When: October 10 2018, 7pm. Cost: Members: $10, non-members: $15 (paid on night). Event: Induction for new members (compulsory). No dogs. Venue: Babies Change Room, Geelong Showgrounds (building behind admin buildings at showgrounds). No dogs that night. All welcome to attend in case you do not understand our training methods yet, or need reminding. Event: Shift equipment back to showgrounds. When: October 27 2018, 9:00am to 10:30am. When: October 31 (Wednesday classes) or November 1 (Thursday classes). See email from Helen Read on 16/09/2018 for the class allocations. Event: Talk: Motivation and stress in dogs and understanding your dog better. When: Wednesday November 7, 7pm. Free for all members. No training this night. Posted in BDAG dog training, Calendar/dates, Classes/Training, Uncategorized on September 16, 2018 by Bellarine Dog Activities Group (BDAG). 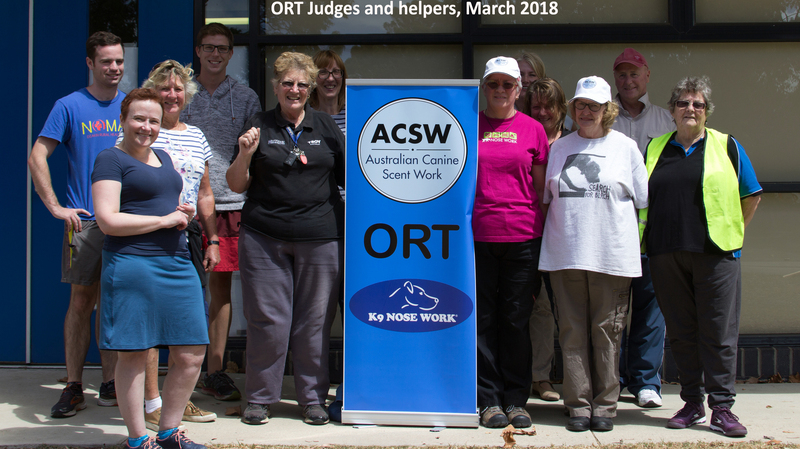 Our members were very successful at the Odour Recognition Test in March 2018. 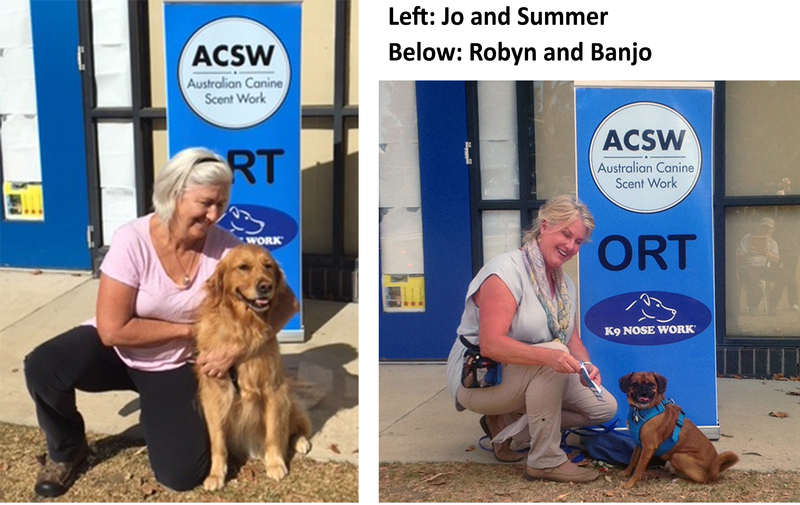 Posted in BDAG dog training, Photos, Uncategorized on March 13, 2018 by Bellarine Dog Activities Group (BDAG). We will shift our equipment out of the Cattle Pavilion on 7th October 2017 from 9am-1pm. The equipment will be moved to Storage King on Queenscliff Road Newcomb. Truck available and booked. Cheryl has offered to drive the truck. Posted in BDAG dog training, Calendar/dates, Classes/Training, Uncategorized on September 25, 2017 by Bellarine Dog Activities Group (BDAG). BDAG Block 4: Wednesday 25 October to Thursday 14 December 2017. Register for Block 4 using the BDAG existing member block form. Posted in BDAG dog training, Block Forms, Calendar/dates, Classes/Training, Uncategorized on August 27, 2017 by Bellarine Dog Activities Group (BDAG). BDAG Block 3: Thursday 27 July to Thursday 21 September 2017. Register for Block 3 using the BDAG existing member block form. Classes will run only on Thursday nights in Block 3. Agility and flyball are not available for this block. Posted in BDAG dog training, Block Forms, Calendar/dates, Classes/Training on June 7, 2017 by Bellarine Dog Activities Group (BDAG). Could you be an instructor at BDAG? BDAG is running a new Instructor’s course this month. Blocks 1, 2 and 4 run on Wednesday and Thursday nights. Block 3 runs only on Wednesday night. Puppy, Foundation 1, Foundation 2, and Geelong Canine Citizen (GCC). After your dog has passed GCC you can join: Games, Obedience, Tricks and dancing, Scenting, and Agility levels 1 to 6. 3) Email the completed file and information about payment to bdag.training@gmail.com. All items prior to last year’s AGM have been archived on our website. Posted in BDAG dog training, Block Forms, Calendar/dates, Classes/Training, Membership on November 11, 2016 by Bellarine Dog Activities Group (BDAG).